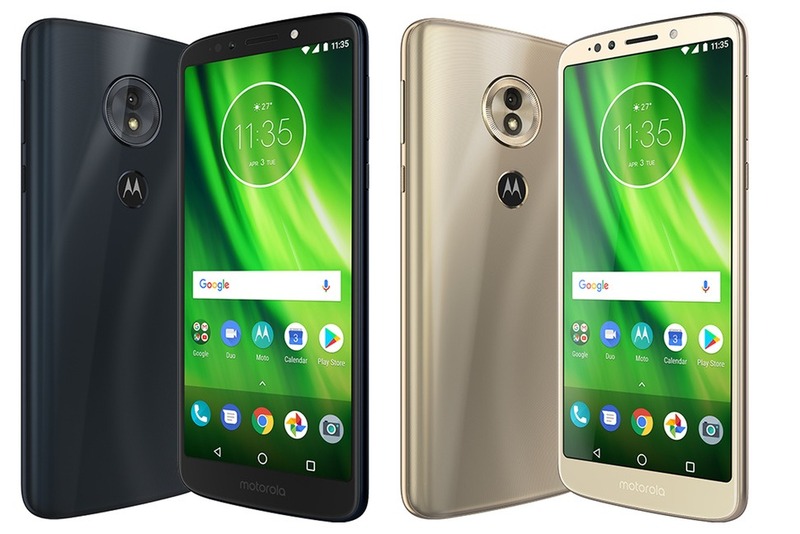 Motorola has announced its new G series phones, and there is no doubt that the G series includes Motorola’s best selling smartphones. So, it won’t be wrong to say that Moto G series is the most important series from Motorola. This year, the company launched three new phones in the G series – Moto G6, Moto G6 Play and the Moto G6 Plus. Just like the E series, the G6 Play is the cheapest, and the G6 Plus is the most expensive among the three. We covered the whole E series in our previous article so you can check that also. Anyways, let’s talk about the 2018’s Moto G series in detail. The Moto G6 Play features a polymer glass back, just like the E5 Plus. So, it is not as scratch resistant and durable as the Gorilla Glass rear panel of the Moto X4. Except for the glass back, the design is similar to the Moto E5, and E5 Play as the G6 Play has a similar camera module on the rear and a rear-facing fingerprint scanner. On the front, there is the earpiece, sensors, front camera, LED flash and an 18:9 display with rounded corners. The Moto G6 features a premium design with 3D Glass on the rear, just like last year’s Moto X4. Unlike the Moto E5 Plus and the Moto G6 Play, the Moto G6 has Gorilla Glass on the rear, which is much durable and scratch resistant. It has a front-facing fingerprint scanner which most of the users won’t prefer the location of fingerprint reader underneath the Motorola logo on the rear is the best. Anyways, there is an 18:9 display on the front which is a Full-HD+ panel as compared to the HD+ panels on E5, E5 Plus and the G6 Play. The Moto G6 has a USB Type-C port on the bottom which makes it the very first Moto G series phone to feature a USB Type-C Port. The dual camera setup on the rear makes the G6 pretty similar to the Moto X4 (at least from the rear). Overall, with a 3D Glass back and metal frame, the phone surely looks premium. The camera includes a lot of features like Landmark recognition, object recognition, text scanner, portrait mode, spot color, face filters, panorama and manual mode. The phone has a front-facing speaker underneath the earpiece with Dolby Audio. Also, there are three microphones in total for a 360-degree audio recording. The Moto G6 Plus is the most expensive G series phone of this year and also the most feature-packed one. Design-wise, it looks exactly similar to the Moto G6 with the same 3D Glass back, dual camera setup, front-facing fingerprint reader, 18:9 display, etc. Just like the Moto G6, the Moto G6 Plus has Dolby Audio and triple microphone for a 360-degree audio recording. As for the differences, the phone has better rear cameras, better processor, more RAM, bigger battery than the G6 (but not bigger than the one on G6 Play) and a slightly bigger display. OTHER FEATURES Front-Facing fingerprint scanner, USB Type-C Port, 3.5mm headphone jack, Bluetooth 5.0, NFC, Water Repellent Coating, Moto Experiences, Moto Voice, Dolby Audio etc. Finally, talking about the pricing, the Moto G6 Play is already available in Brazil and will arrive for various countries in the Asia Pacific, Europe, Latin America and North America with a starting MSRP of USD 199. The Moto G6 is coming to various countries in the Asia Pacific, Europe, Latin America and North America with a starting MSRP of USD 249. Lastly, the Moto G6 Plus is coming with a starting MSRP of €299 EUR and is already available in Brazil.